Manual locks and dumb thermostats are old technology in our internet-connected world. With a Wi-Fi connection and an hour of free time, you can put home security and climate controls online—and give your home a brain. A Wi-Fi-enabled home security system and power monitor. It shows you who's snooping about your abode, and which devices are slurping the most juice. Homeowners who need safety, efficiency, and want to fortify the house during the holidays. Being built by Lowe's, the Iris system is designed for DIY installation and monitoring. The thermostat is a touchscreen, and the components are made of brilliant white, high-density plastic, with large, easy-to-read buttons. Installation is surprisingly easy. Components attach to walls and ceilings with included adhesive tape. The control panel requires driving two screws to hold its base plate, and the thermostat requires you to transfer wires from the old unit to the new one. Arriving to a pre-warmed home that still contains all of your belongings. The control panel runs on six AA batteries, which is great because intruders can't cut the power to your place and take the alarm offline. Problem is, as soon as those batteries run down, the system turns off—like, completely. No warning and no notice. It's odd for a system that otherwise regularly texts you updates. You've got to be especially careful when installing the two-piece door/window sensors. If they're not practically kissing when the portal is closed, they'll prevent the alarm from arming. They seem to work best on sliding windows and doors rather than hinged ones. Everything runs off the smart hub, which hard lines to your router. If you've already got some home automation devices installed, the Iris integrates with practically any device that uses a ZigBee, Z-Wave, or Wi-Fi protocol. The security camera records whenever an alarm is set off or the motion sensor trips and instantly uploads the video to the cloud. Basic monitoring is free. Advanced monitoring costs $10/month, but allows more control—you can set when and how each component will report or respond to an alarm, send text alerts to up to six people when an alarm goes off, and you can program device schedules (like turning the lights on at 6pm daily). The thermostat is built to use with a wide range of popular HVAC systems, though it doesn't play well with warm air furnaces, pellet stoves, and electric baseboards. Once it's set up, the system practically runs itself. You can control basic system functions—arming and disarming, setting the temperature, etc—as well as more advanced features, like how long the security camera will record when triggered by an intruder, or the schedule of when lights will turn on. You program the thermostat through the Iris iPhone App (or on the Iris website for Android and WP users). God help you if you forget you login information (as I have), the password recovery feature only works if you already know your username (which I don't). I'll update as soon as I hear back from Lowe's customer service. There are three variations of the system. 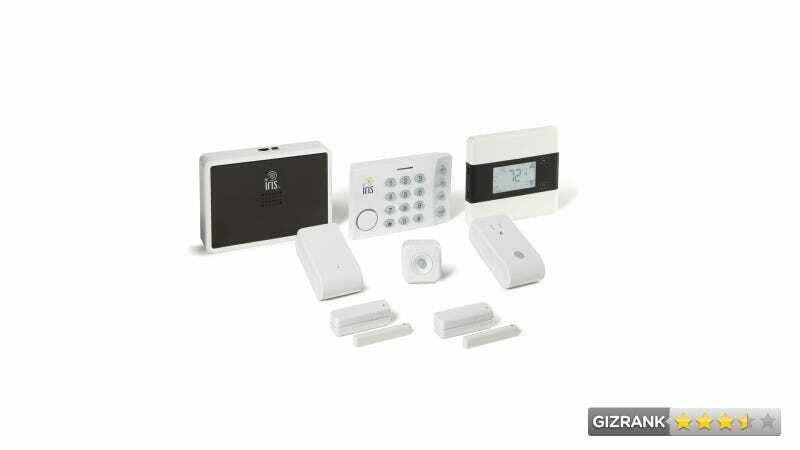 The most complete is the Smart Kit—it includes a Smart Hub, which acts as a gateway between the various components and your router, a motion sensor, 720p camera, a pair of window sensors, a 7-day programmable thermostat, a smart plug that monitors energy usage, and a wi-fi range extender. Yes. $300 is a fair price to pay for peace of mind. It's a lot cheaper than ADT service, and it's more robust than a basic thermostat. What's more, it allows you to precisely track and adjust virtually every aspect of your home's function and consumption, which should help you stop wasting money on energy this winter.